Do you remember what it was like to put your foot into the wrong shoe? Young children do this all the time. I still remember how uncomfortable it felt when I got in a hurry and wasn’t paying attention. Shoot, sometimes I still do this! It feels horrible. 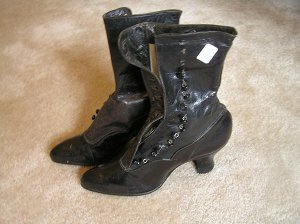 But did you know that up until as late as 1850 shoemakers didn’t differentiate between the left and the right? They made both shoes straight with no curve in them. I can only imagine how awful they were to wear. Change came with the invention of machinery for making shoes and they were finally able to produce left and right shoes. I had so much fun writing SAVING THE MAIL ORDER BRIDE that releases in two weeks. Nora and Jack are so funny. Nora has a real problem with her shoes and the pair she wears coming West to marry are very worn. The heels are shaky and the shoes are too narrow. 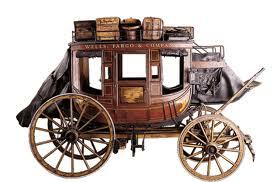 The book opens with a stagecoach carrying her and an outlaw who’d just been arrested. Everything is so new to her. Complication #1. He’s attached to a marshal by manacles (which are two handcuffs separated by a six-inch chain.) 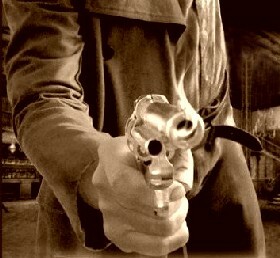 When the stagecoach wrecks and kills the marshal, Jack Bowdre asks Nora to get the key from the dead lawman’s pocket. Complication #2. The second Nora unlocks the cuffs she slaps them around her own wrist and tosses the key away because she’s terrified Jack’ll leave her at the mercy of the man who’s following her. To put it mildly, Jack is furious. Now he’s handcuffed to a woman he’s never seen and he’s about to lose his one chance of escape. Before leaving the wreck, he removes the marshal’s boots, thinking they might come in handy. He and Nora spend a little time searching for the key but can’t find it and he hears riders up above the ravine, so he rushes her away. Complication #3. Nora can’t keep up because of her shoes. 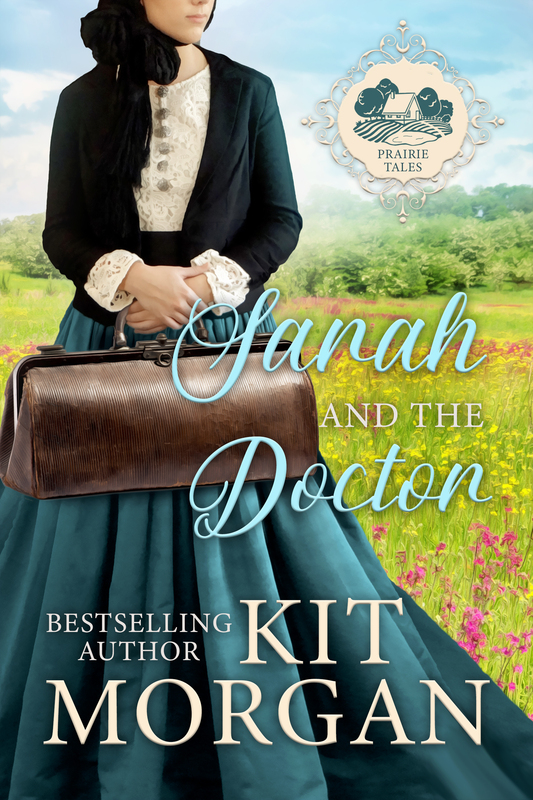 He stops and yanks them off, wraps her feet in one of her petticoats, and puts the dead marshal’s boots on her. They can move much faster. Then later on, she switches those boots for a smaller pair that belong to the man chasing her. They’re afoot with nothing but the clothes on their backs and a posse close behind. It’s five days to reach the safety of the outlaw town and the rugged terrain is unforgiving. The odds are stacked against them. Oh, and I forgot to mention that Jack didn’t tell her he’s an outlaw—one of several things he left out of his letters. Nora has her trials. 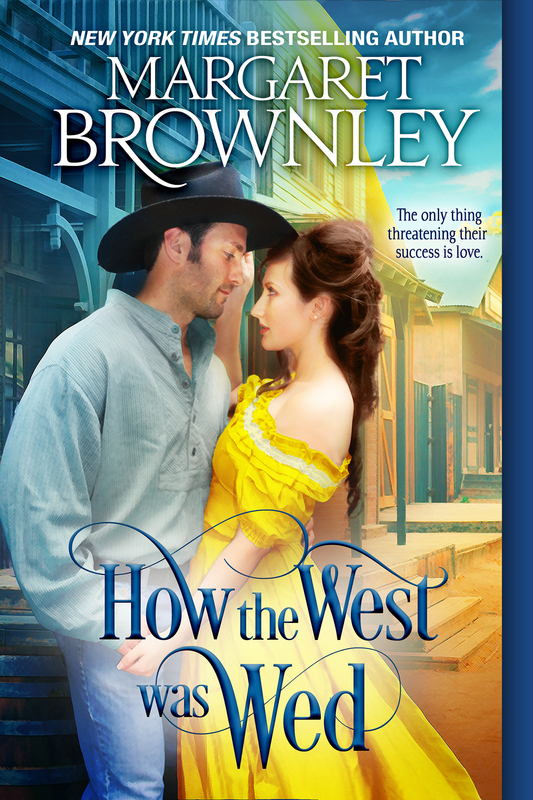 I think you’ll love this fast-paced fun story, the second in my Outlaw Mail Order Brides. Click HERE for a link to an excerpt. I also have a Spring Sweepstakes going on. 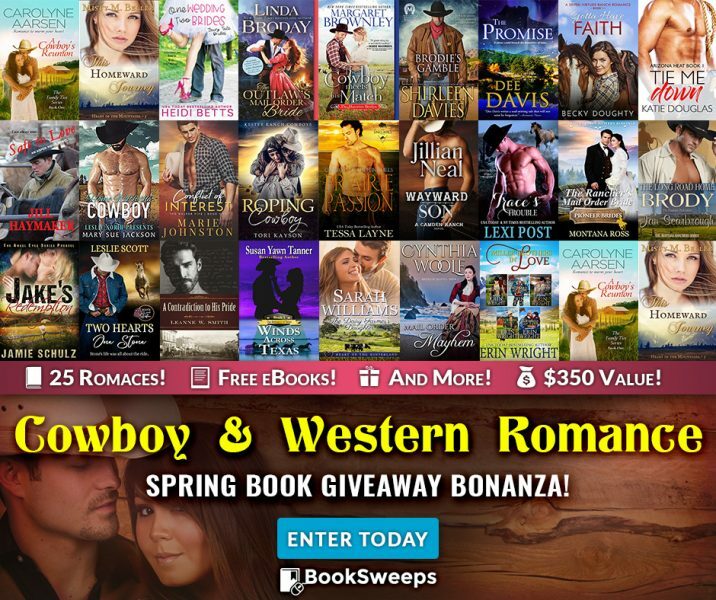 Enter to win an e-reader plus 25 historical western romances. Margaret Brownley has hers in this too. Click on the image to enter. I have a huge problem with shoes myself because my feet and ankles swell. Dressy shoes are the hardest to find. I just can’t find any that fit well, look decent, and are comfortable. Boots really are the best but not with a dress. I’ve finally gone to the Clark’s brand and they work pretty well. Do any of you have a similar problem? What do you wear for everyday and dressy? I’m giving away an autographed copy of the book to three people who comment. 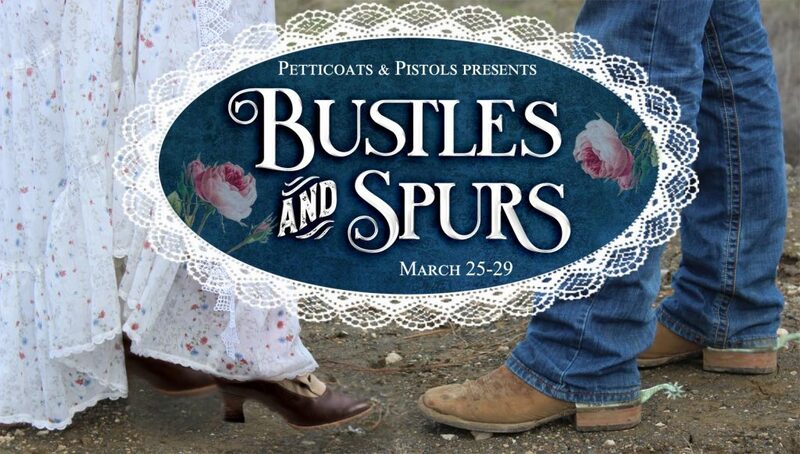 I’m happy to kick off this Bustles and Spurs week. 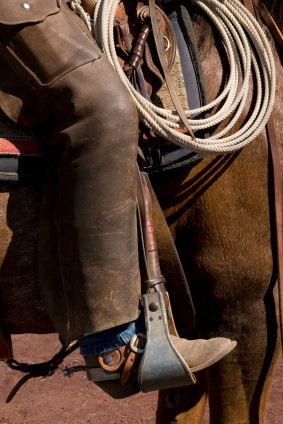 I just love writing everything about cowboys but especially the little visual details that can add so much to a story. The smooth way they walk. 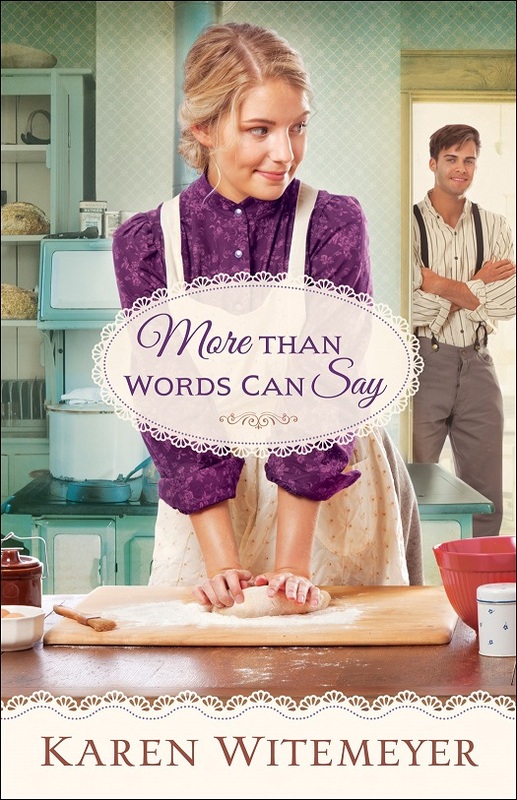 The way they talk—from the hard edge they add to their voice when they have to—to the quiet, gentle words reserved for their lady, kids, and animals. 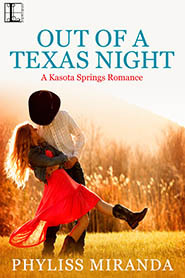 Then there are the sounds—the slap of leather chaps against their legs, their boot heels striking a wooden boardwalk. Most of all, the clink of their spurs. Oh man! I love that music. I began thinking about spurs and here are some facts that you might find interesting. * The earliest spurs found go back to Julius Caesar and his Roman soldiers. Who knew? * The part of the spur that makes noise is the rowel that spins when the cowboy walks. 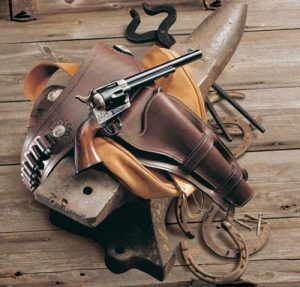 The rowel is also the part he uses to make the horse do what he wants. * The ornate Spanish influence is still evident today. * Spurs from the second to about the fifteenth century were buried with their owners which is why few remain today. * Any knight who failed to remove his spurs inside a church had them confiscated and had to pay a fine to get them back. * The U.S. Cavalry uniform required boots and spurs and they were also worn during the Civil War. These were made of brass, slightly curved, with a small rowel, black straps, and a brass buckle. 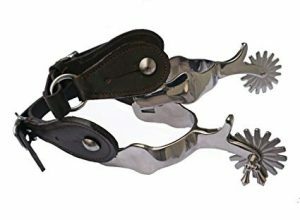 * Today, artisan spurs are big business and depending on what they’re decorated with can be quite expensive. I recently saw a pair online selling for $925. Can you imagine? 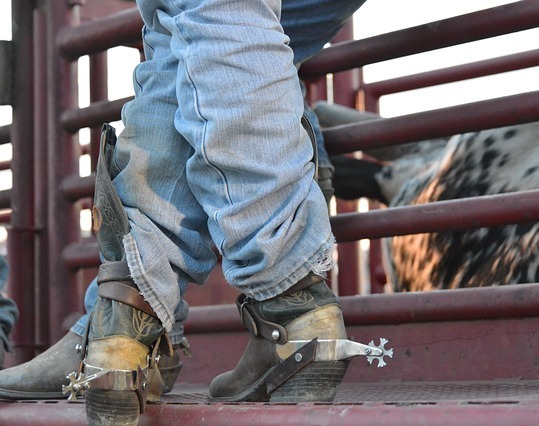 * Sometimes cowboys attach jinglebobs to their spurs for even more noise. 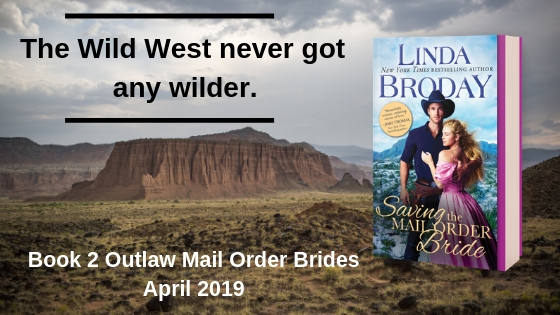 I have a new book coming April 30 – SAVING THE MAIL ORDER BRIDE – #2 of Outlaw Mail Order Brides series. Jack Bowdre has been arrested and on his way to jail in a stagecoach the marshal flags down. The only other passenger is Lenora Kane who’s on her way to marry a man sight unseen. 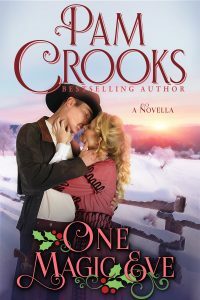 When the coach wrecks, Jack finds himself handcuffed to Lenora and they’re running for their lives, afoot, with nothing but the clothes on their backs and five days to safety. This has danger, suspense, humor, and romance and available for preorder. Leave a comment mentioning some detail about a cowboy that really adds to what you love about him. Maybe it’s a bead of sweat trickling down his neck or the way he tips his hat to the ladies. Something small that gives you that tingle. You know the one. 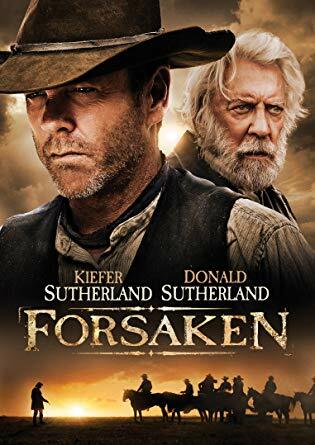 I’m giving away a western movie called Forsaken starring Kiefer and Donald Sutherland. It’s really good. I’m also giving a $10 Amazon gift card to another winner. Drawing will be Saturday. This country is amazing. Truly. Freedom is the bedrock of our foundation and when it came to settlement, the adventurers, the dreamers, the wealthy, and the down and out all had the same opportunities. I think a lot about those early men and women who took a chance. Thank goodness for a written record of their struggles which provide a glimpse into the rigors of such a journey. I don’t know about you, but I find it engrossing. 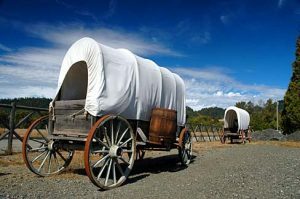 “I write on my lap with the wind rocking my wagon.” Wrote Algeline Ashley. May 8…We have come about 12 miles and made camp in the open prairie without any wood. We collected dry weeds and grass to make a fire and for supper cooked some meat and the last of our eggs with some hard bread with water. May 9…We passed a new grave today…a man from Ohio. We also met a man that was going back. He had buried his wife this morning. She died from measles. May 11…We passed another grave dug only this morning. The board stated he died of cholera and was from Indiana. May 13…Soon after we stopped tonight a man, a Dutchman, came along with a wheel barrow going to California. He wheels his provisions and clothing all day and then stops for the night and sleeps on the ground in the open air. He ate raw meat and bread for his supper. I think he will get tired wheeling his way through the world. May 14…Just after starting this morning we passed four men digging a grave. The man that had died was taken sick yesterday of cholera about noon and died last night. The corpse lay on the ground a few feet away. It was a sad sight. May 18…The wind has blown a perfect cloud of dust, covering us all with dirt. You could not tell the color of our skin. October 27…We have reached Burlington. There is no house we can get to winter in. I expect that we shall not make a claim after all our trouble getting here. I shall have to be poor and dependent on a man my whole lifetime. Another woman—Amelia Stewart Knight – is traveling with her husband and seven children and she’s pregnant with her eighth which she delivers by the roadside just before reaching Oregon. She mentions how the Native Americans along with way were much-needed guides and helpful in telling the men where to hunt. May 14…Winds so high that we dare not make a fire and impossible to pitch a tent. The wagons can hardly stand the wind. Our wagon is full and some have to stay out in the storm. Some of the boys lost their hats. May 17…We had a dreadful storm last night and very sharp lightning that killed one man and two oxen. The wind was so high I thought it would tear the wagon to pieces. Nothing but the stoutest canvas could stand it. The rain beat into the wagons so that everything was drenched. We woke surrounded by water and our saddles have been soaking in it all night and are almost ruined. May 31…We traveled 25 miles today. This morning there were two large droves of cattle and about 50 wagons ahead of us. We either had to stay poking behind or attempt to pass them. The drovers threatened to drive the cattle over you if you tried to pass. They even took out their pistols. Husband came up just as one man pointed his pistol at Wilson Carl. We took out across the prairie and had a rather rough ride but were glad to be away from such a lawless bunch. We are now within 100 miles of Fort Laramie. June 6…Still in camp. Husband and myself are sick. We supposed by drinking the river water that looked more like dirty suds. July 28…Chatfield (her young son) is quite ill with scarlet fever. Sept 5…Passed a sleepless night as a good many of the Indians camped around us were drunk and noisy and kept up a continual racket which made all our hands uneasy and kept our poor dog on watch. Sept 17…Gave birth to my eighth child after which we ferried across the Columbia River. Here husband traded two yoke of oxen for a half section of land with one half acre planted in potatoes and a small log cabin and lean-to with no windows. We’re home. These diaries are invaluable. To say the trip was difficult is an understatement. There was nothing to look forward to each day except more of the same that battered the mind and spirit. We owe them all our admiration and respect, especially the women who followed their men and given little say in the situation. They were truly hardy souls. Would you have kept soldiering on day after day? I’d like to think I had what it took, but I really believe I would’ve been one of those who turned back. I’m giving away a $10 Amazon gift card so leave a comment to enter the drawing. Also, All of my Men of Legend are on sale or Free. Now’s your chance. 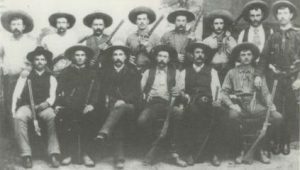 How Much of a Line Existed Between Outlaws and Lawmen? 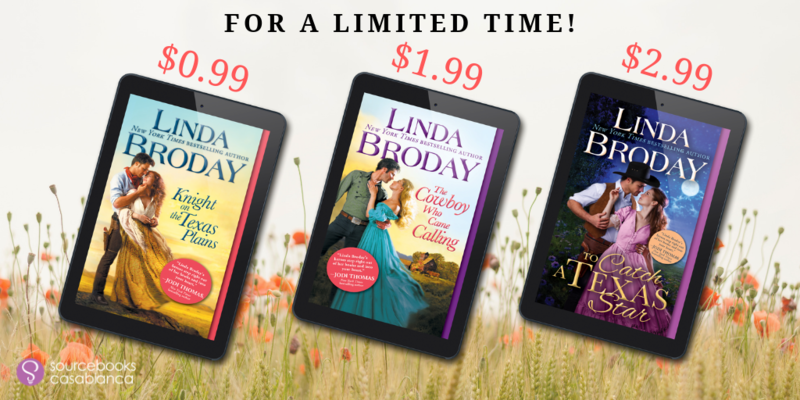 A rough outlaw town…A man seeking redemption…A hunted woman with no place to turn except agree to be outlaw Clay Colby’s wife. This is the scenario in The Outlaw’s Mail Order Bride. In case you haven’t heard, this new series is a bleed over from my Men of Legend and Clay Colby (whom you met in The Heart of a Texas Cowboy) is tired of running. He’s determined to make a stand on the last bit of mostly unsettled Texas land in the panhandle. He yearns to settle down with a wife and have a family. To be normal. So he starts building a town on the site of an old hideout called Devil’s Crossing. While he builds, he writes to Tally Shannon and Luke Legend carries the letters back and forth. She and a group of women are hiding out in a canyon, hunted in order to be returned to the Creedmore Asylum for the Insane. 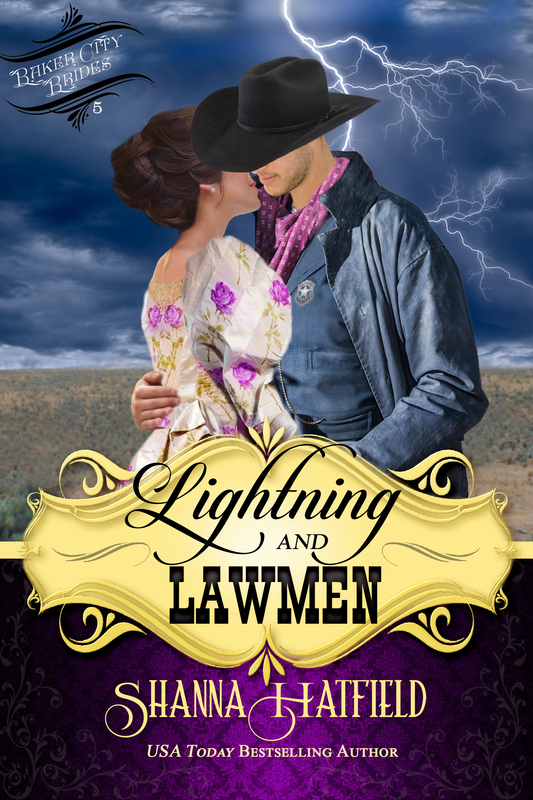 Tally and these women first made an appearance at the end of Men of Legend Book 1 – To Love a Texas Ranger when outlaw Luke Legend began providing food, clothing, and medicine. But Tally has grown weary of living in the shadows and wants more for herself and her band of fugitives. For once she wants to know what it’s like to have someone care for her—to have strong arms around her, to be safe, protected. Although afraid to trust, she agrees to marry Clay. I’ve often thought about the line drawn between outlaws and lawmen on the American Frontier and find that at times it became so blurred it was almost invisible. A man could be a sheriff or U.S. Marshal one day and a fugitive outlaw the next, depending on the circumstances. Or vice versa. Millions upon millions of acres of raw land comprised the American Frontier, stretching from the Missouri River all the way to the Pacific Ocean. There were no laws, no courts, and little or no government. The few lawmen that existed had to cover huge areas and there was no way they could. Often, the only law was what a man found for himself. The gun determined the outcome. To get an idea of what I’m talking about, consider this: A man is minding his own business and taking care of his family when someone rides up and shoots his wife and children. He catches the murderer and kills him. That makes him an outlaw and he’d be on the run. Then maybe one of the railroad or cattle towns needed to curb their lawlessness so they would hire the outlaw and pin a badge on his chest. There are plenty of examples in history. Many such men straddled the fence, being whatever anyone wanted. Wild Bill Hickok, Wyatt Earp, Doc Holliday, Virgil Earp, Bat Masterson, and Pat Garrett to name a few. You might say they were the good “bad” guys. That’s what Clay and his friends are. Sure, they’ve killed but they only see it as administering justice. They were the law where there was none and now they’re ready to give up their role. But will others let them? If you’ve read the book, tell me your favorite part or favorite character. Or talk about outlaws. What is your view? Were they good? Or bad? Leave a comment to be entered in a drawing for one of three copies of the book. Or if you already have it, to win a $10 Amazon gift card. You may think this an odd title for a post (Linda has finally lost it) but you’ll soon see how it fits. In exactly two weeks from today THE OUTLAW’S MAIL ORDER BRIDE will launch. 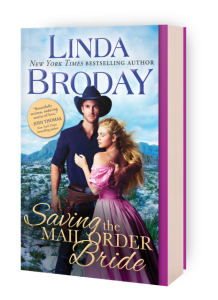 This starts a new four-book series called Outlaw Mail Order Brides and I’m so excited about this project. This series is a bleed-over from Men of Legend. Luke Legend and his wife Josie have started a private bride service for men and women living in the shadows. Clay Colby and Tally Shannon are characters that first appeared in Men of Legend. Clay was a trail boss for Houston in The Heart of a Texas Cowboy and Tally first appeared at the end of To Love a Texas Ranger and played a bigger part in To Marry a Texas Outlaw. Tally and a group of women had escaped the Creedmore Lunatic Asylum and were hiding out in Deliverance Canyon. Readers wrote me, wanting their story so they’re getting it. After two years living in fear of discovery, Tally decides it’s time for change. With Luke and Josie hand-carrying letters back and forth, Tally agrees to marry Clay. Only a wanted man will know how to protect her. Finally, she’ll be able to lift the burden from her shoulders and let someone care for her. And Clay does from the start. She’s the wife he’s longed for and the little blind girl she brings with her becomes his daughter. But I want to talk about the horrors of early mental institutions. Number one is that they had zero oversight. People who ran them could do whatever they wanted with these people. Nor did they require any proof of insanity. Often families wanted to get rid of certain ones and these institutions provided a way. Give them some money and they’d relieve you of your problem. In some cases it became big business. That’s what Tally’s stepmother did. She wanted to wrench the family estate from Tally and have it all so she incapacitated her, drove her to the asylum and handed her over along with a bag of money along with instructions to make Tally’s life a living hell. These are just ridiculous and there are lots more I didn’t list. Anything could be an excuse up until 1955 when some oversight finally came along. That it took so long is crazy! Since we all read romance, we could’ve been institutionalized back then if our family didn’t want us!! So, are you off your rocker or missing some marbles? Maybe you’re an overzealous cook or like to sit around daydreaming. You could be certifiable. What reason could your family have given? Have fun with this. 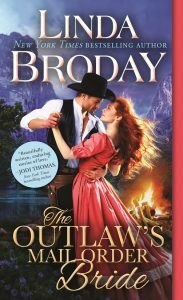 I’m giving away THREE copies of THE OUTLAW’S MAIL ORDER BRIDE!! Plus, each will also get one of my calendars. I’m also announcing a SALE! All of my Texas Heroes is marked down. If you haven’t read them and want to, now is the time to get them cheap. Or maybe you’re only missing one from the set. Now’s your chance. Lonely Sonja Kaplan doesn’t want to spend another Christmas alone. While she has her secret government work to fill her days, she longs for a husband to fill her nights. Chet Lattimer doesn’t know the first thing about being a father when the six-year-old son he didn’t realize he had bursts into his life. Worse, it’s Christmas, and there’s no one to help him celebrate except the mysterious woman the gossips call the Bird Lady. But a little boy hungry for love helps them all find truth and peace, and together they revel in the magic of Christmas. 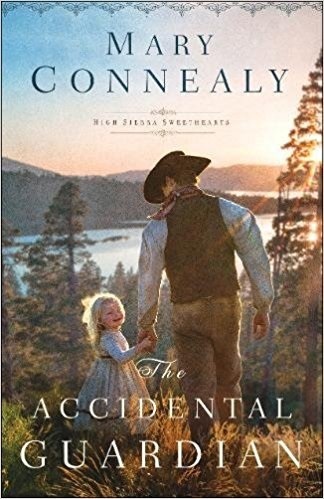 After Allethaire Gibson was kidnapped several years earlier in the wilds of Montana Territory, she tries hard to put her life back together in civilized Minnesota. She almost succeeds—until she’s framed for a crime she didn’t commit. With her reputation in shreds, she flees back to Montana to seek her father’s help in proving her innocence. Mick Vasco never expects to see Allethaire again, but when he finds her in the middle of a train-robbery-in-progress, he has no choice but to kidnap her—again. Together they race against time to find crucial answers. But during the blessed season of Christmas, they find wondrous gifts of forgiveness and love instead. I’m giving away a $10 GIFT CARD TO AMAZON! Who can’t use one of those at Christmastime, eh? Alone in a blinding snowstorm, no shelter in sight, Hank Destry pushes in all his chips and comes up losing. Half-frozen and unable to go any farther, he falls from the saddle into a snowbank. On a return visit from a sick friend, Pretty Sidalee King’s path is blocked by a barking dog. The pet leads her to Hank. 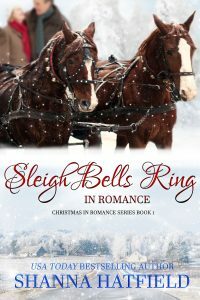 She digs him from the snow and manages to get him into her wagon and take him to her home on the Lone Star Ranch. With no family of her own, she feels for the drifter’s plight. Could he be Miss Mamie’s lost son that she speaks of? And what are the rocks Miss Mamie gives as payment for kindnesses? Mystery and love abound this Christmas season as two lonely people receive an unexpected gift. I‘m giving away a $10 Amazon gift card and a 2019 calendar I put together! Consider reading all the Rodeo Romance series, available on Amazon. You’re never too old to fall in love . 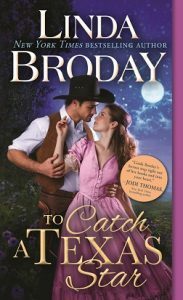 . .
Rancher Jess Milne lost his wife years ago, but he’s finally ready to give love a second chance. 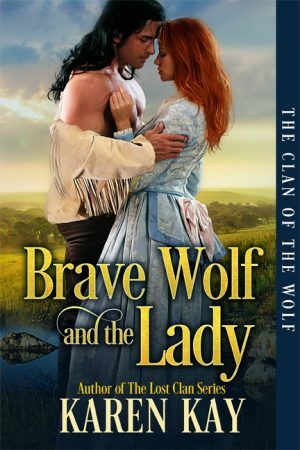 It’s a shame the one woman in Romance who captures his interest is a prickly, wasp-tongued she-devil. She used to be one of his closest friends until he asked her out. Her vocal, vehement refusal made her thoughts on dating him crystal clear. Despite her animosity, Jess can’t help but be attracted to her fire and spirit. Widowed more than ten years, Doris Grundy tries to convince herself she’s content with her life. Her recently married grandson and his wife bring her joy. The ranch she’s lived on since she was a young bride gives her purpose. 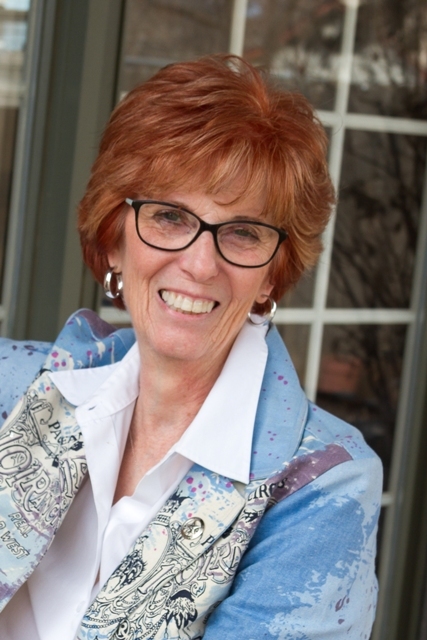 She’s an active member of their close-knit community. But the old coot who lives down the road continually invades her thoughts, keeping her from having any peace. Doris will be the last to admit she longs for the love and affection of her handsome neighbor. 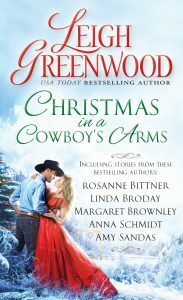 When the two of them are unexpectedly thrown together, will they find a little holiday spirit and allow the love of the season to ring in their hearts? Prince Charming is a. . . Cowboy? The death of her mother left Philamena Booth grieving and at the mercy of her drunken father. 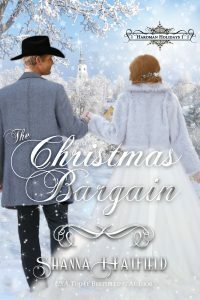 After spending more than a decade held captive on their run-down farm, she’s left speechless when her father strikes a bargain to settle a long overdue debt. In lieu of payment, a handsome cowboy agrees to take Philamena. Mortified yet relieved to leave the farm, she finds herself married to the charismatic, caring man. 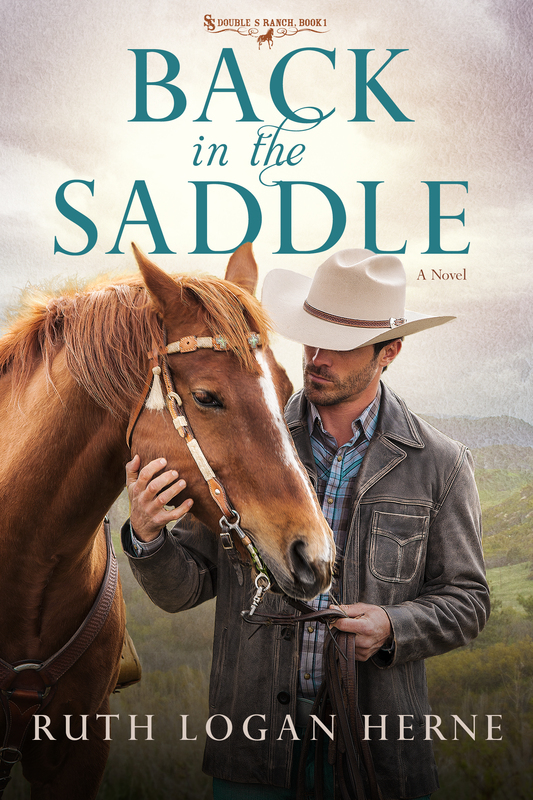 Luke Granger might own Hardman’s bank and the fanciest house in the Eastern Oregon town, but he’d much rather be outside riding his horses or wrangling his herd of cattle than keeping his account books straight. In a strange, unsettling turn of events, he finds himself accepting a farmer’s daughter instead of money to cover a loan. If the man hadn’t threatened to sell her to the saloon owner, Luke might have refused. 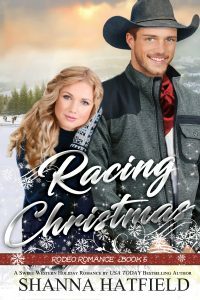 He has no idea what to do with the beautiful Filly or their marriage of convenience, but he’s about to get far more than he bargained for. That’s right. I’m joining the fun and giving away a $10 Amazon Gift Card! Cody Marvell has a way with people…unless that person is Murphy Anderson. Cody never understood what she was dealing with when they were younger. Murphy had a hard time while growing up, with no mom and a cold-hearted father. He made some mistakes, which he now regrets. He wants her ranch, and more than that, he wants her. 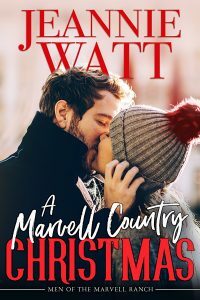 When a Christmas flood makes Murphy’s home uninhabitable, he invites her to stay at the Marvell Ranch. With the help of country Christmas magic, Cody hopes she’ll start to see him with new eyes. I‘m also giving away a $10 Amazon gift card! Winners will be verified and announced on Sunday, December 2nd. Be sure to check back to see if you won! Language is such an interesting subject and I’m always intrigued by the older terms and words. Our forefathers sure had a more colorful way of speaking. In fact, the vivid words drew pictures a lot better than today’s jargon. Since I write historicals I love finding one or two to throw in. Too many can make for difficult reading though. See how many you know. Some may be familiar. Do you have any to add to these? I’m giving away a 2019 calendar to two people. Now that we’ve had some fun, I want to tell you about a Christmas movie that John Wayne starred in. 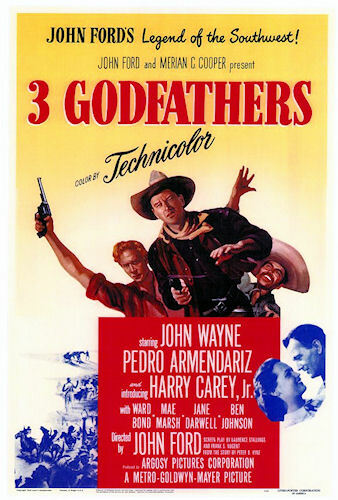 How many have seen or heard of “The 3 Godfathers?” It came out in 1948 and was about three bank robbers running from a marshal when they stumble across a woman alone in a covered wagon giving birth. Before she dies, she makes them promise to take care of her baby and get him to the town of New Jerusalem. It’s a story of redemption. I watched it when I was young and remember some funny scenes as they try to take care of this infant. So if you’re wanting a different Christmas movie, you might try to find it. The trailer is on YouTube and the movie is on Amazon. 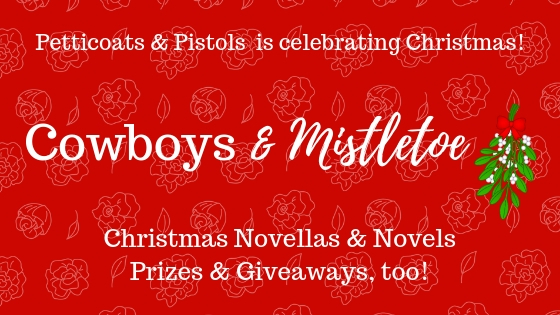 The Outlaws Are Coming and Cover Reveal! …People living in the shadows in desperate need of saving. I’m launching a brand new series January 29, 2019 called Outlaw Mail Order Brides and here is the gorgeous cover for the first book!! By the way, it’s available for preorder. Not that I’m begging or anything. The Outlaw’s Mail Order Bride is about Clay Colby and Tally Shannon. These are both characters from my Men of Legend series. Clay was Houston Legend’s right-hand man in The Heart of a Texas Cowboy and I’m thrilled to give him his own story. In fact, I’m beyond excited for my Legend series to bleed over into this one. Readers weren’t done with my Legend men and neither was I, so they’ll appear some in these. 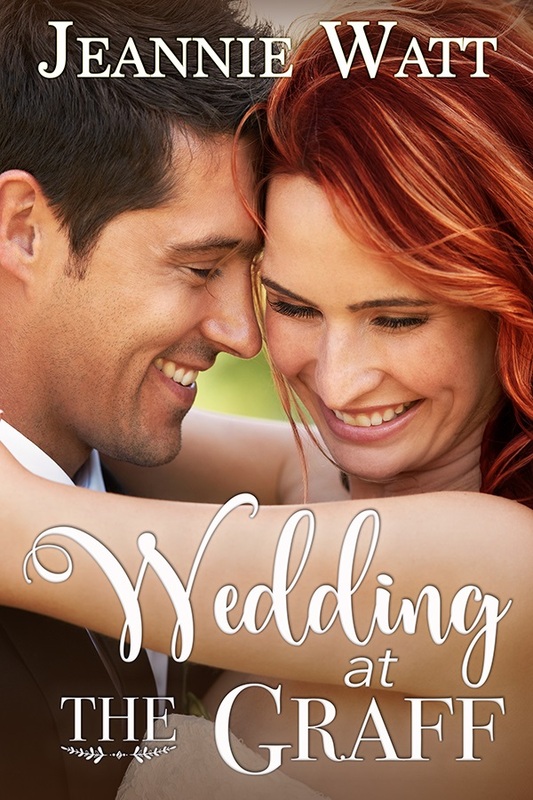 Luke probably will more than any because he and his wife Josie have formed a private mail order bride service to match men and women living outside the law for whatever reason. I received a lot of mail asking if I’ll free the women in hiding. Yes, in this book. 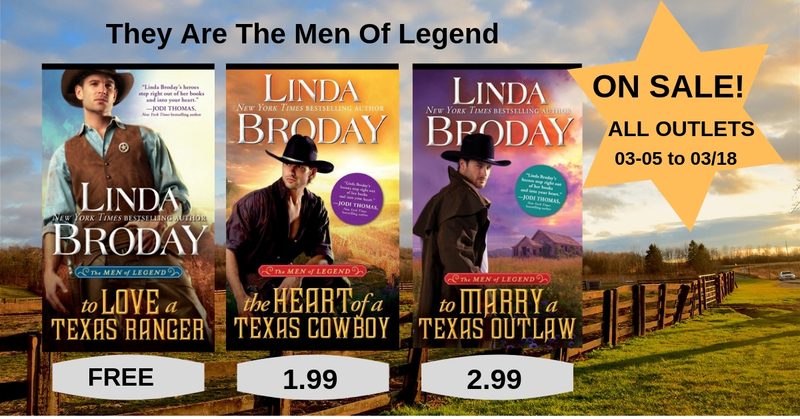 You first met Tally Shannon and her band of women living in Deliverance Canyon in To Love a Texas Ranger (the first Men of Legend.) They’re in hiding after escaping the Creedmore Lunatic Asylum—only none are crazy. They were put in there by family members wanting to get rid of them. In fact, there’s quite a lucrative racket going in that horrible place. Tally knows they can’t live in hiding forever and it’s time to walk in the sunshine. She volunteers to go first and try marriage. 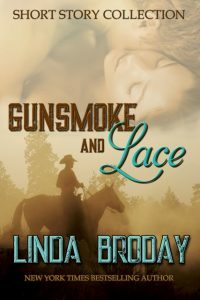 The outlaws can protect her but she’s struggling with trust issues. She doesn’t trust anyone—not even Clay. And this causes big problems between them. Still, she sees Clay’s huge heart and begins to lose her fear. Tally begins to feel safe in Devil’s Crossing and loves working by Clay’s side in making it a town. He needs this as much as she. But there are lots of potholes in the road. Can they smooth them out and stay alive long enough to make this marriage work? It’s anyone’s guess. This cover perfectly depicts their rustic life. The big fire is in the center of the town where all the people gather and a lot of nights one of the men gets out his fiddle and they dance. I modeled Clay after the real life gunfighter and outlaw, Clay Allison, who loved to dance more than–well, shoot bad guys. So….do outlaws really dance? You bet’cha. 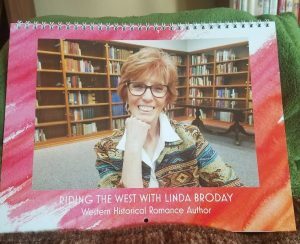 Book #2 – Saving the Mail Order Bride – follows a few months later on April 30, 2019. Question: how do you like the cover? Is there anything that draws you? I just love the splash of red. If you don’t want to talk about the cover…how do you like fall so far? Few things have made such a huge impact on our lives than the movie industry. I don’t know about you but I love sitting in a dark theater and watching magic unfold on the screen. I’m drawn into the story and love watching how the actors chose to portray each scene. Some are excellent and I lose myself to the magic to the point where I’m up there in the story with them. It’s a beautiful thing and deeply personal. Roundhay Garden Scene was the first recorded short silent film in 1888 by a Frenchman named Louis Le Prince. It’s definitely the oldest surviving one. Amazing! Thomas Edison started capturing motion on film around that same time. Everything was very short, approx. a minute or two. The first film with a sustained plot was a 12 minute one titled The Great Train Robbery. Suddenly America had a new form of entertainment. They called those early films flickers and I’ll bet you can guess why. They were all silent as no one had figured out yet how to record sound. 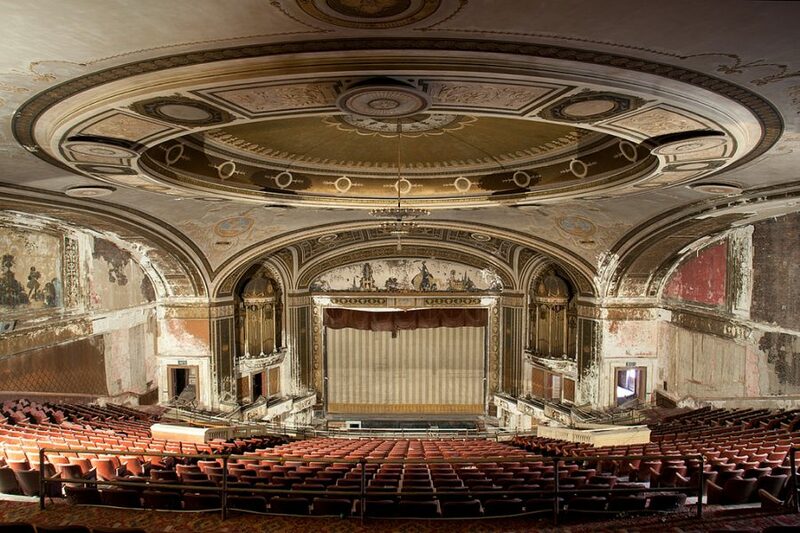 The theaters hired men and women to play the piano while the movie showed. Slow songs, fast songs, medium songs designed for the biggest impact. They built huge movie palaces with ornate lobbies, crystal chandeliers, and luxurious carpet. Instead of hiring one pianist, they had orchestras and they hooked the American public. I recently watched an eight part documentary that Robert Redford made called The American West and it was so interesting. I found it on Amazon Prime. Redford started at the end of the Civil War and showed each step in the progression of the settlement of the west. President Grant actually opened up the west and offered cheap land as a last ditch effort to keep another Civil War from starting and hold the country together. 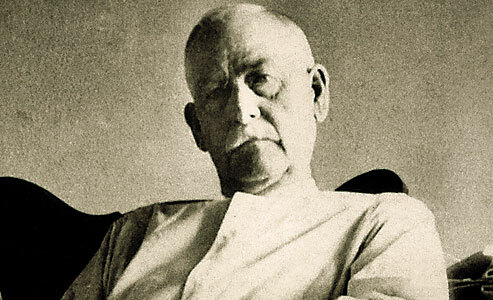 At the end of the documentary, was a clip of Wyatt Earp on a film set in Hollywood. He was 80 years old and a young John Wayne (21) was working as a prop boy. John Wayne was enamored by the man he idolized and hanging out with Earp forever changed John Wayne. He imitated Earp’s manner of walking and talking and he adopted the Code of the West that Earp lived by. Wyatt Earp must’ve been drawn to movie making. I’d love to have known what he thought. He was often found on movie sets and that’s where John Ford, the director met him. Ford got Earp to draw on paper exactly how the gunfight at the OK corral happened and he used the sketch to film the gunfight scene in My Darling Clementine. Wyatt died in 1929 in Los Angeles and cowboy actors Tom Mix and William S. Hart were pallbearers. Can you imagine a world without cinema? I can’t. I’m sure glad they invented sound though. Tell me—do you like to go to the movies? If so, what is it that draws you? Maybe it’s the popcorn. Or what is one of your favorite movies? 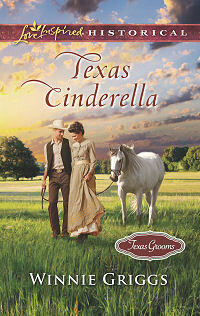 I’m giving away a copy of either To Catch a Texas Star or Gunsmoke and Lace to two people who comment. In addition to title, winner chooses either print or ebook. I’ll draw the winners on Sunday. Some ranches have the strangest names but probably all mean something personal to the owner. The ones I put in my stories all reflect the owner’s state of mind or what they value. Some that I see when I drive down the road leave me scratching my head though. Like the Dime Box and Hoof Prints ranches. In the anthology Give Me a Texas Cowboy, Jack’s Bluff was the name of the ranch in mine and Phyliss Miranda’s stories. 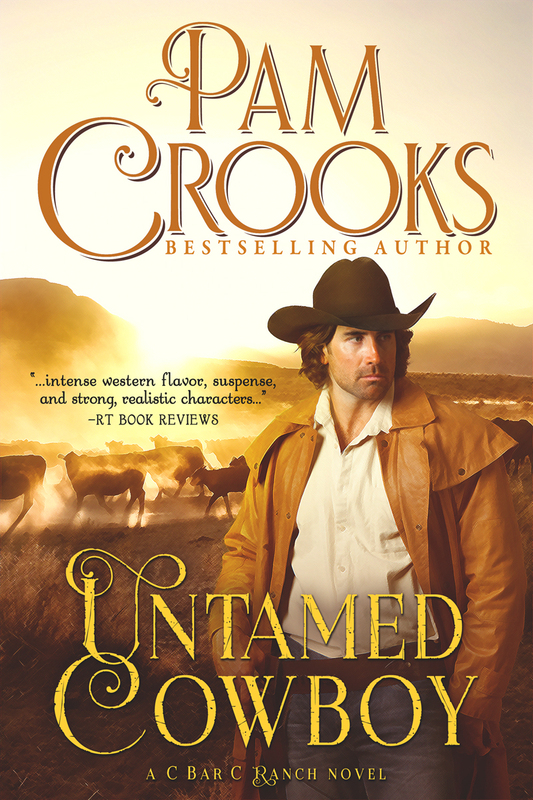 Jack, one of Tempest LeDoux’s many husbands, won the ranch after buffing in a card game. I thought it was perfect. Each one tells a lot about the owner. 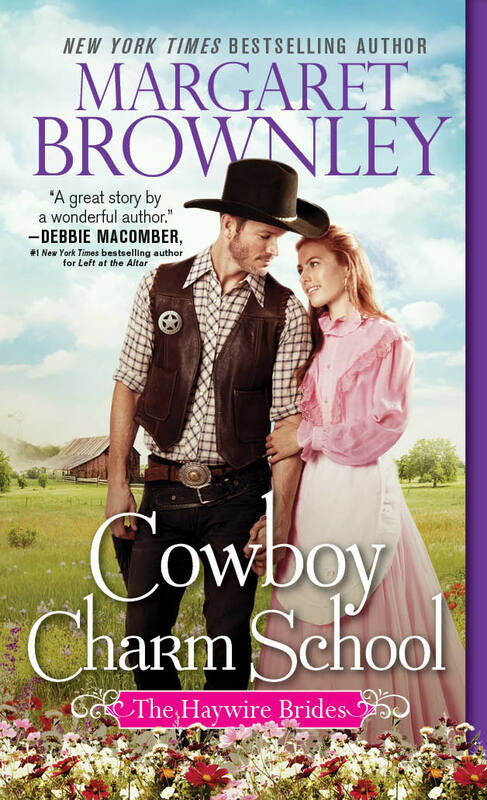 Duel McClain in Knight on the Texas Plains and To Catch a Texas Star named his ranch for the poker hand he won Marley Rose with and he doesn’t ever want to forget the miracle of how she changed his life. To Catch a Texas Star is a story of hope, forgiveness, self-discovery, and vanquishing evil. Marley Rose is on her way into town when she finds a man bleeding and unconscious by the side of the road. Roan Penny has seen the worst of humanity, but Marley and the McClain family restores his faith. As he recovers he falls in love with the dark beauty he calls his Texas Star and longs to make a life with her. But evil from the past finds them. Will it destroy the happiness Roan and Marley have found? The book released on July 3 and is available everywhere in bookstores and online. How about you? Can you name a ranch either in books/TV shows/movies, or that you’ve seen or heard about? I’m giving away one copy (winner’s choice of format.) Comment to enter the drawing to be held on Saturday, August 4. Giveaway Guidelines.